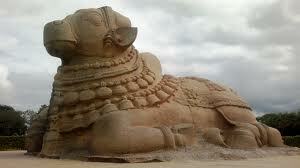 Here is Some Information about Veerabhadra Temple in Lepakshi Andhra Pradesh india. Veerabhadra Temple is situated in the village of Lepakshi and is easily accessible via the Anantapur that lies only 15 km from the village. The temple is very famous in south India and devotees from all over the country visit the temple in large numbers every year. 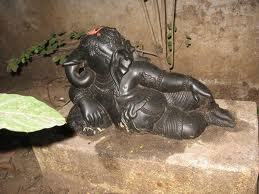 The presiding deity at the temple is Lord Veerbhadra. 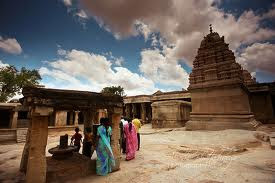 Veerabhadra Temple was built during the 16th century by the kings of Vijayanagra Empire. 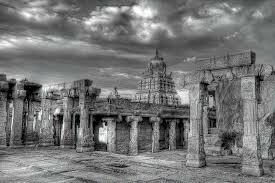 The style of architecture of the temple is in keeping with the style employed by the artisans and sculptors of Vijayanagra Empire. The artwork at the temple is a supreme example of the excellent craftsmanship of the Vishwakarma Brahmins who were instrumental in designing the layout of the temple. The temple defines magnificence with majestic sculptors and intricately carved mandapams. 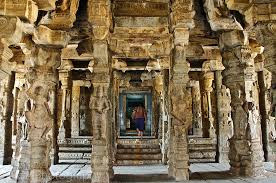 One mandapam at the temple particularly stands out with life-size dancers and musicians sculpted on the pillar. There is a huge statue of the Nandi bull carved out from one giant stone. The temple is a marvel in itself, and it is little wonder that it attracts so many tourists year after year. The temple has a central pavilion, embracing all the three shrines. This pavilion is further connected with an intermediary hall and a hall for ritual dance. A large open court that is accessible from the east surrounds the main hall. Lepakshi Temple perhaps houses the largest monolithic structure of Nagalinga in India. Another exquisite statue of Lord Ganesha captures the attention of everyone, especially when people enter the second interior court. The interiors boast of impressive sculptures in half-relief on the granite pillars. The carvings represent dancers, drummers and divine musicians. Here, you can see Lord Brahma playing drums, celestial nymph Rambha dancing and Lord Shiva engaged in 'Ananda Tandava'. In the intermediary hall, there is a frieze that depicts geese with lotus stalks in their beaks. The flawless carvings adorn the entire temple perpetually, all of them done with the minutest of details. Most celebrated for its splendid paintings, Lepakshi Temple has a colossal painting of Virabhadra in the central hall. In the 'Hall of Dance', one can trace eight panels, depicting Puranic legends on the ceiling. Most of the paintings and murals have been devastated by the ravages of times. 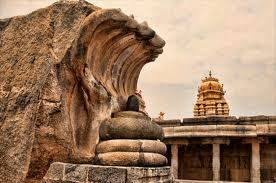 Lepakshi is a notable store of expertise, which is on the brink of extinction. In concise terms, the temple is a work of art that certainly deserves a visit. 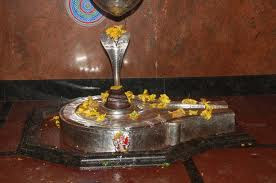 During the month of February a 10- day long celebration including the car festival is conducted in the temple. During the festival Lepakshi is packed with pilgrims from all over the country. By Air:Through Airways, Hyderabad Begumpet Airport and Tirupati Airport are the nearest ones. Bengaluru is a couple of hundred kilometers away. By Rail: Through Railways, the Hindupur station is the closest railway station which connects trains from different parts of the country. 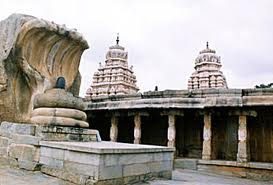 By Road:Through Roadways, the famous temple of Lepakshi is 480 km from Hyderabad, the state capital. It is 120 km from Bangalore. On the way to Hyderabad from Bangalore, you have to take a de-tour of about 16kms on the left to reach.